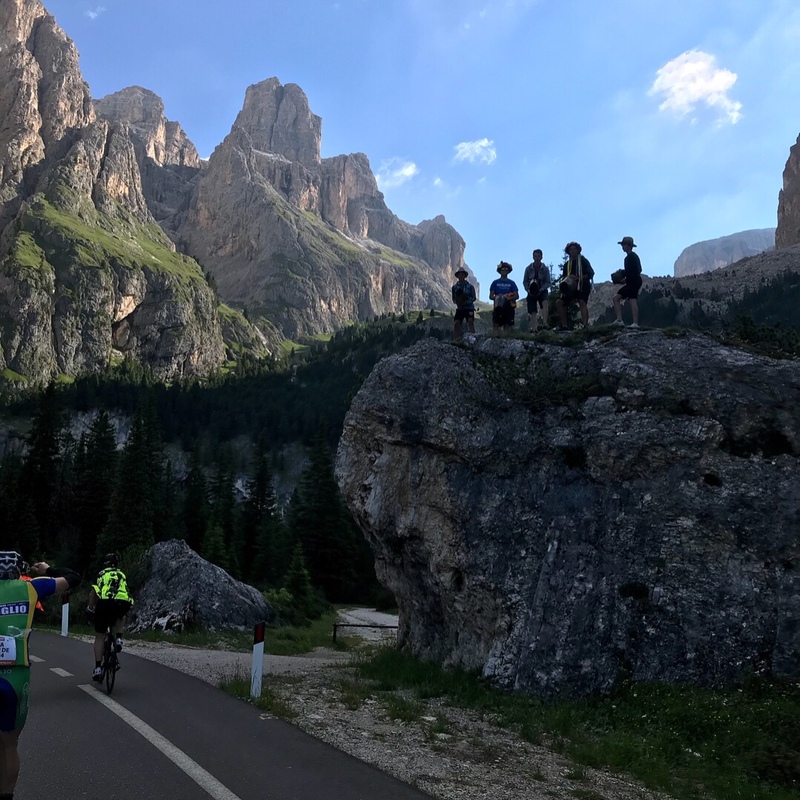 Six intrepid Wheelers made the annual pilgrimage to the Italian Dolomites this year to take part in the Maratona dles Dolomites. 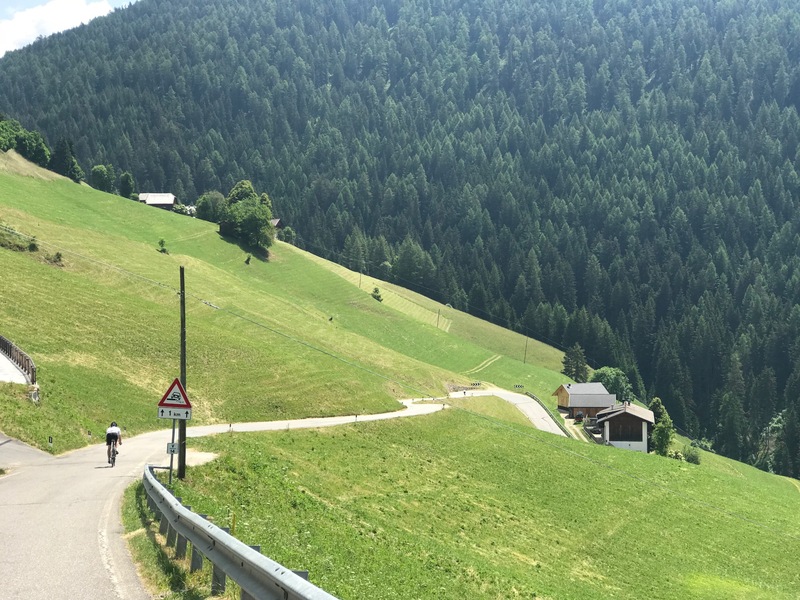 The Maratona is one of the largest and oldest closed road sportives to take place in Europe. 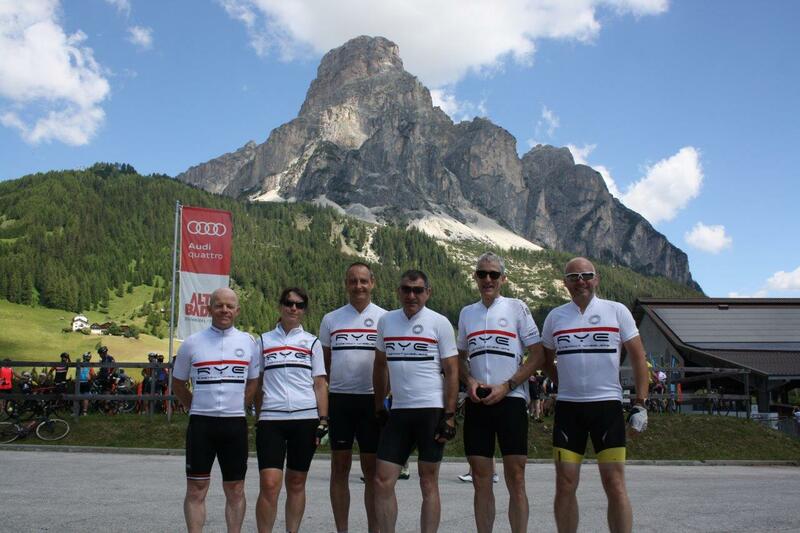 Thanks to Tony Holman who made contact with the UK organiser Ian Parr, Wheelers have been taking part since 2013. 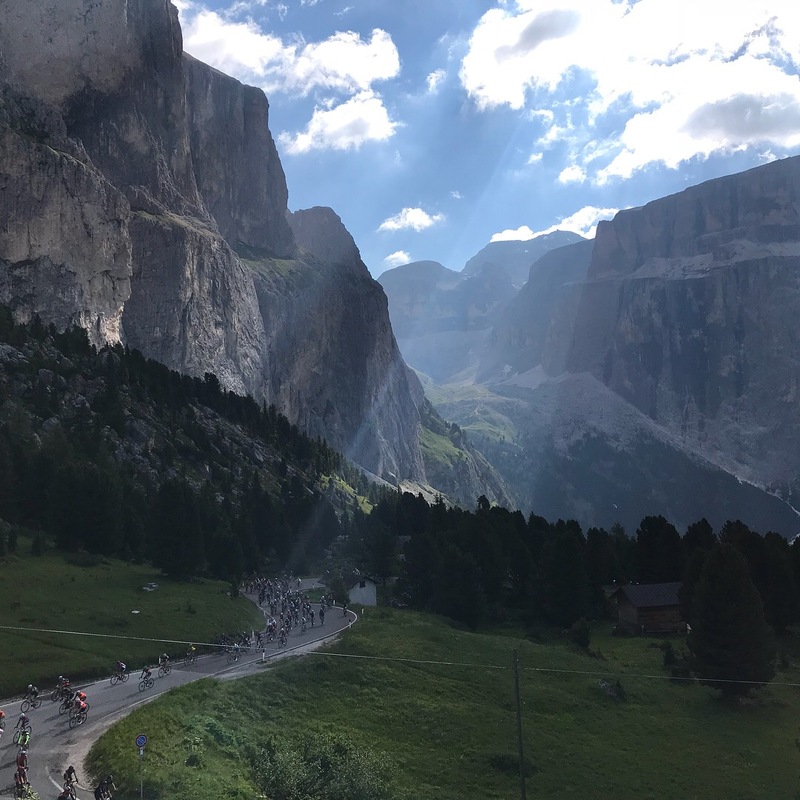 We’re in a very privileged position in that we can get entries outside the ballot so anyone that wants to give this a go need only put their hand up! 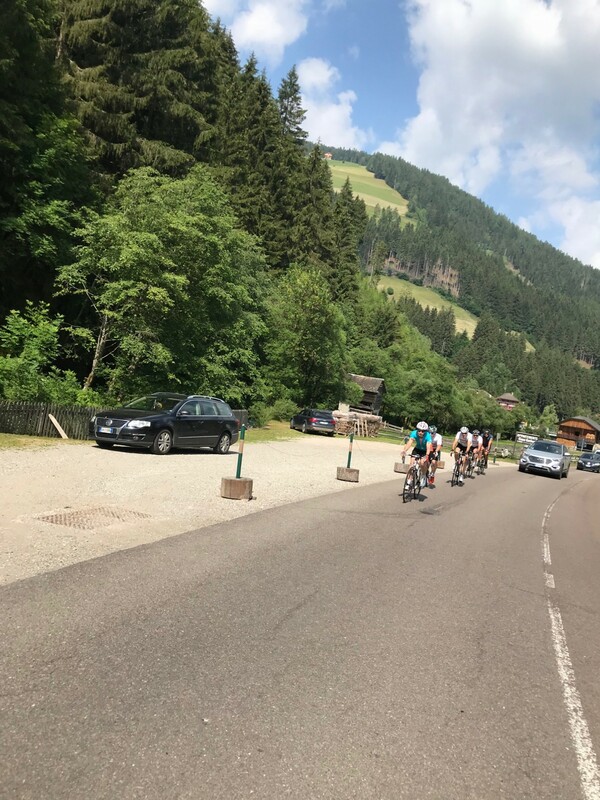 Once again the fastest Wheeler was Nick Wilson who, despite claiming in advance to be doing the medium course this year, completed the long course in less than 6 hours. 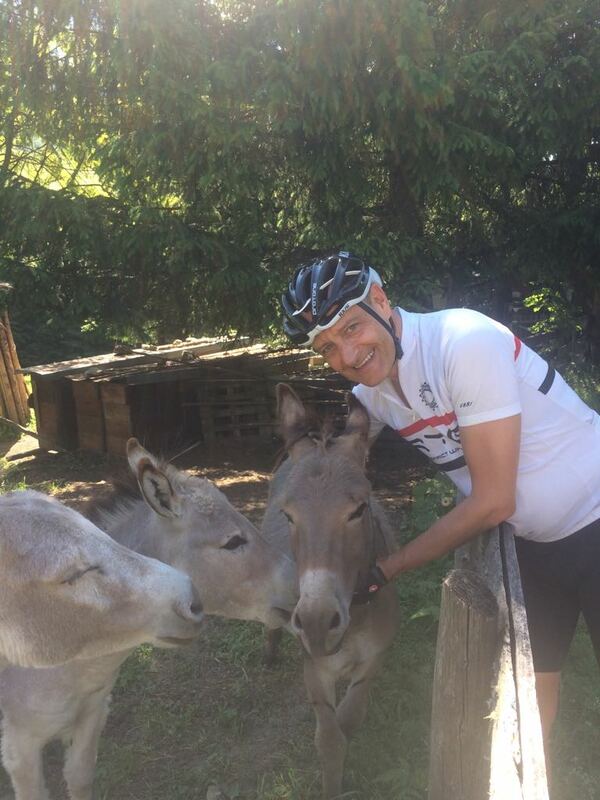 This turned out to be one of the fastest times posted by a British rider. 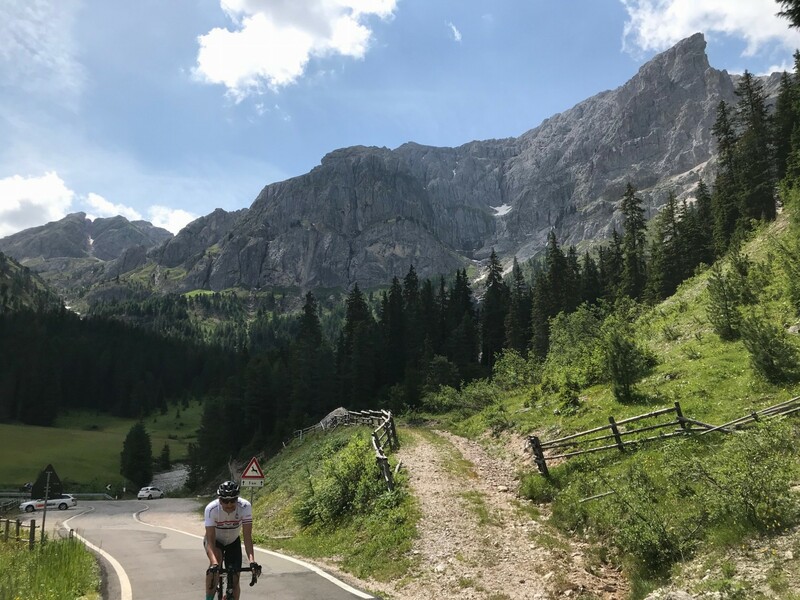 Nick couldn’t get close to Steve Gooch up ‘The Cat’ though, an almost vertical 200m wall thrown in a few kilometers from the end to destroy tired legs. 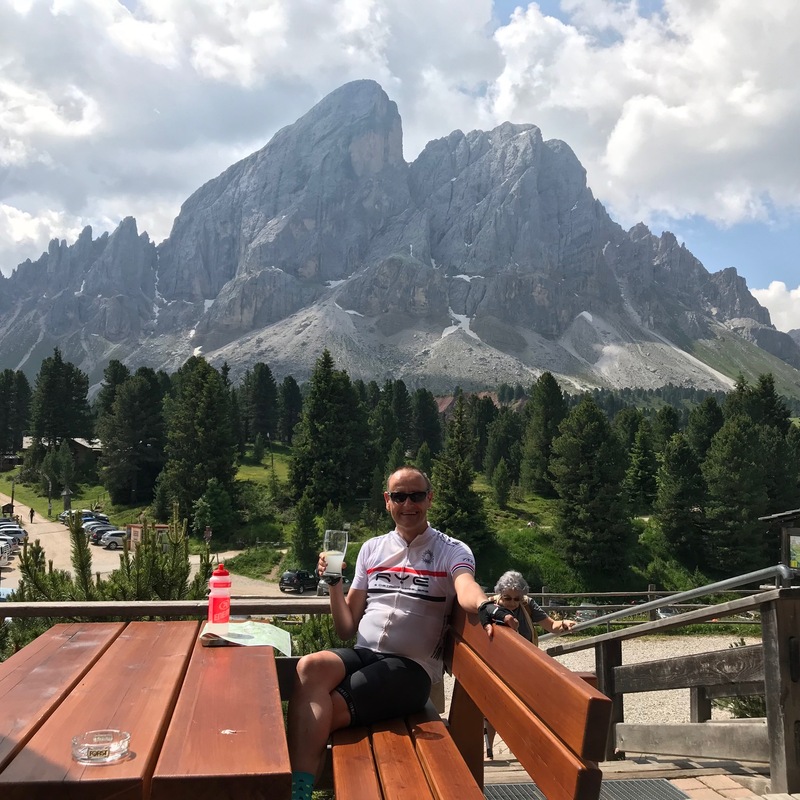 The trip isn’t just about race day though. 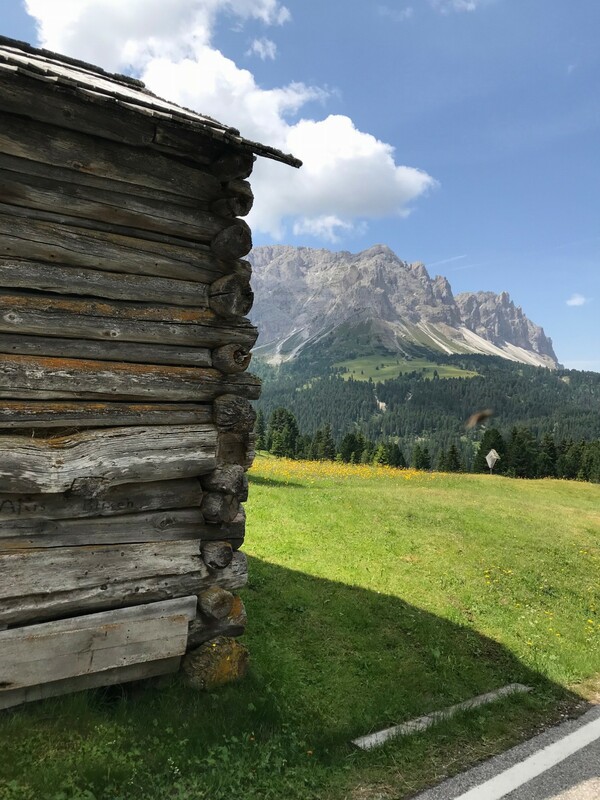 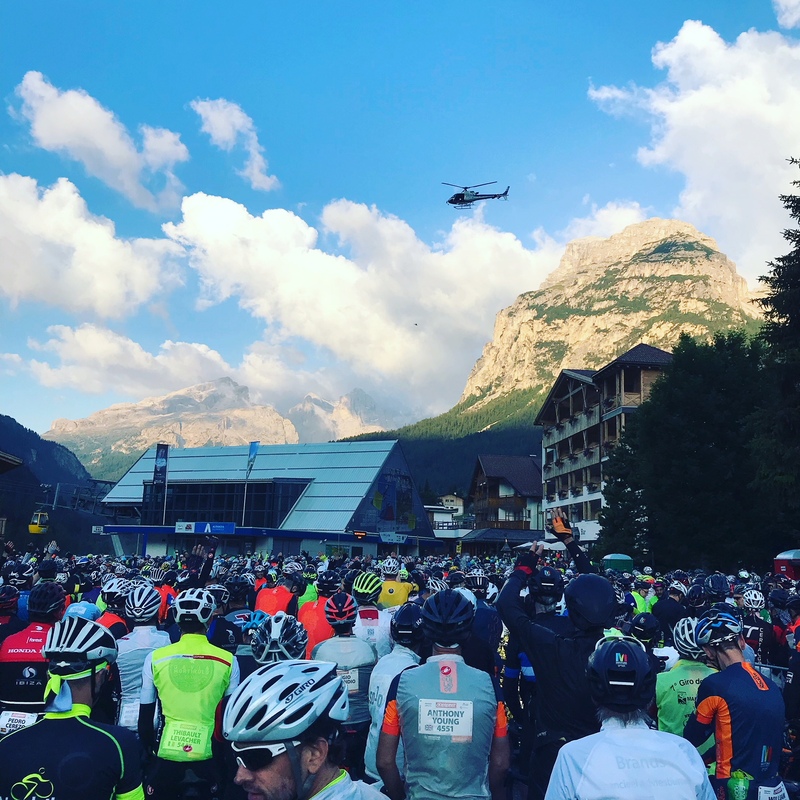 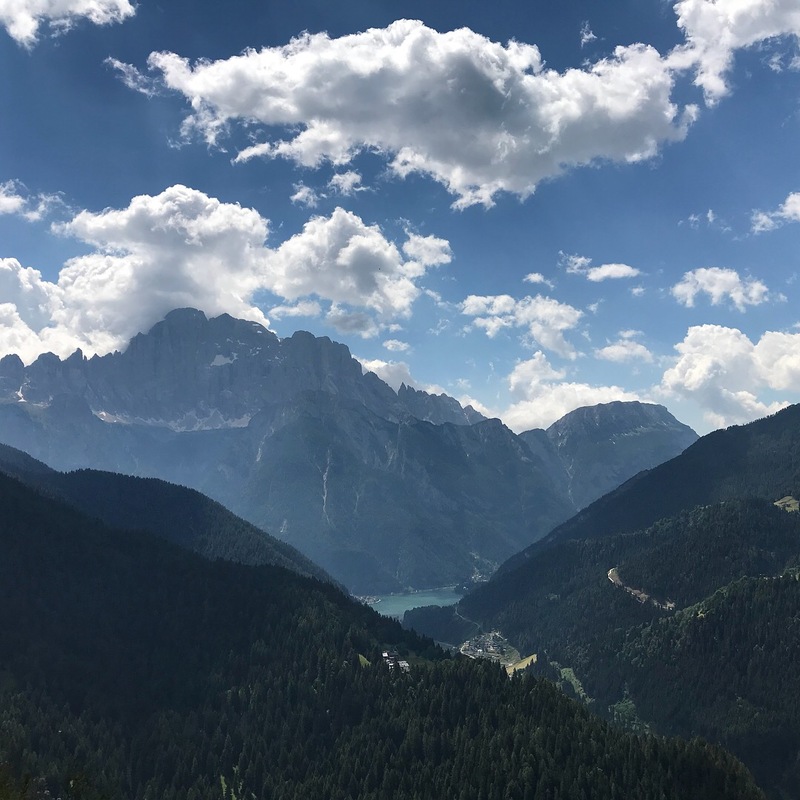 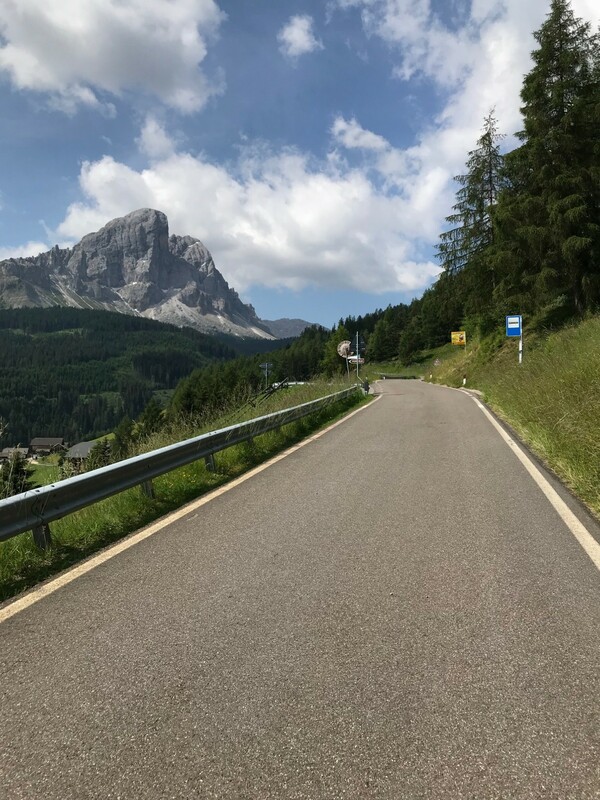 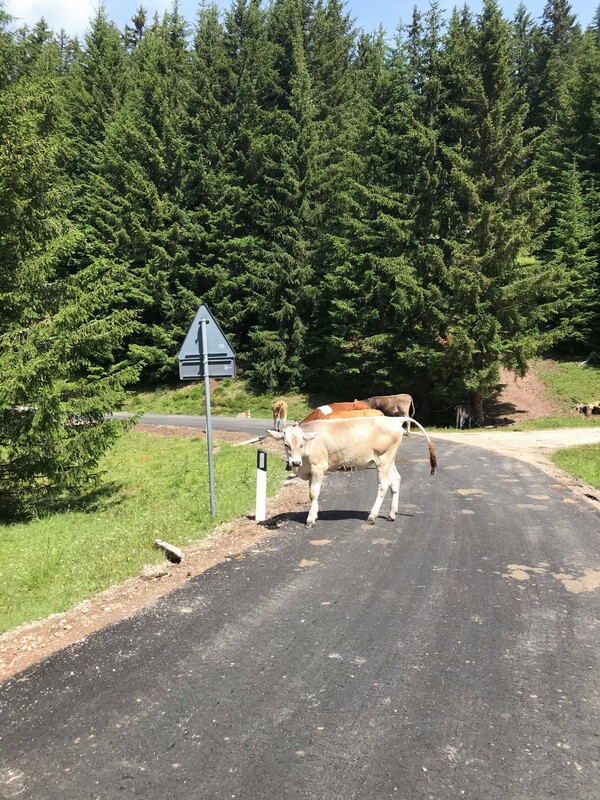 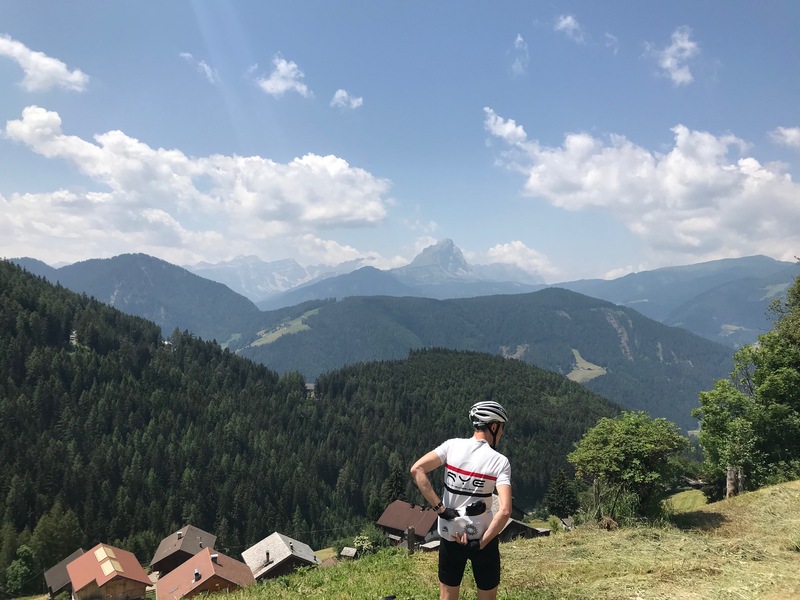 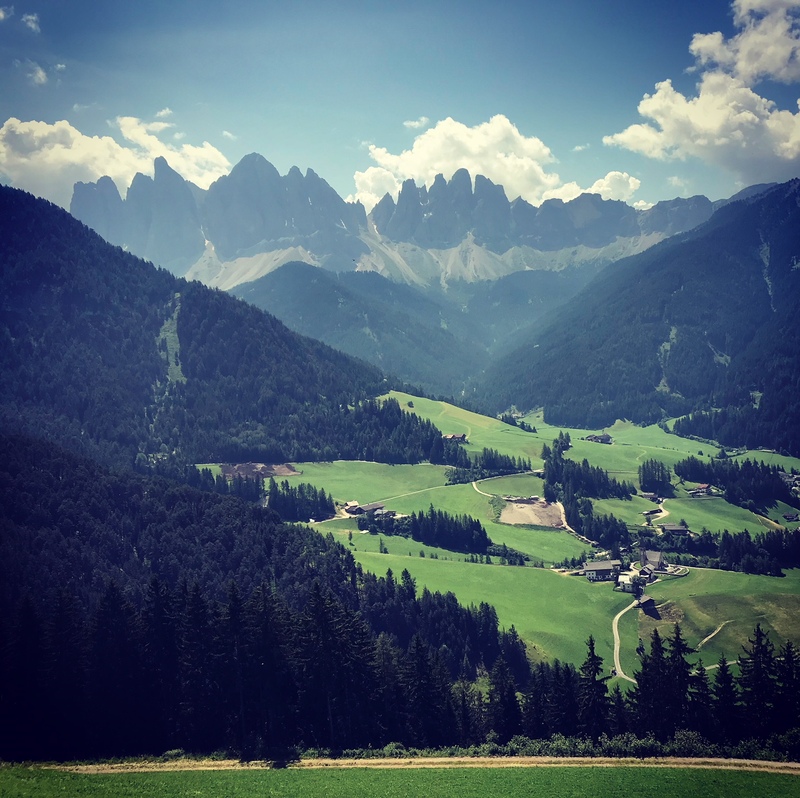 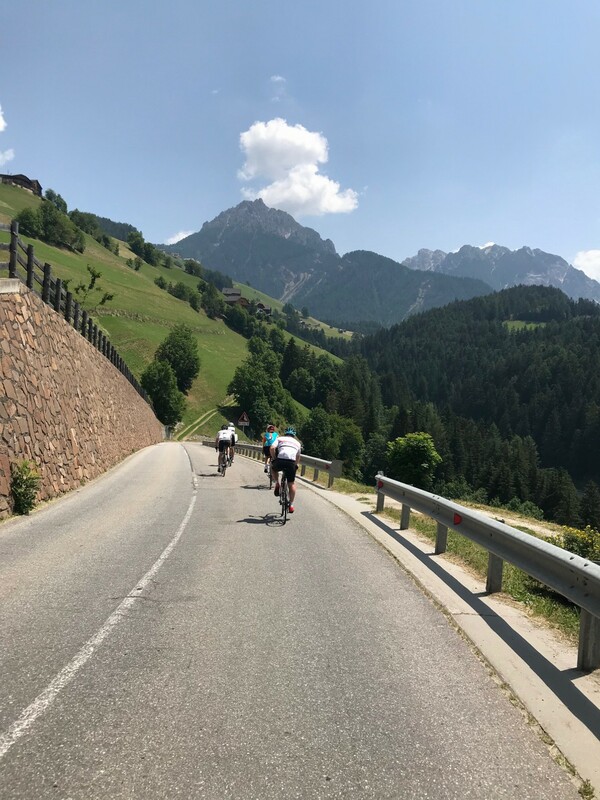 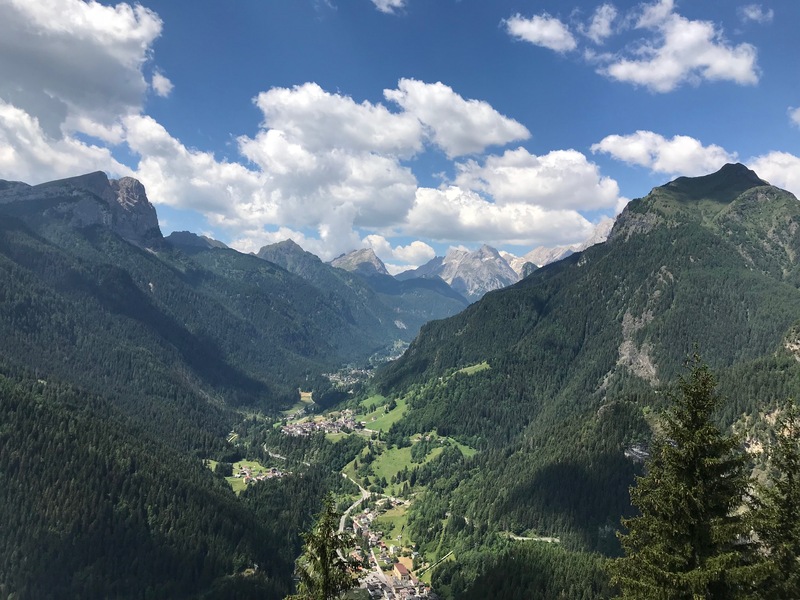 This year we managed to ride six different routes around the Sellaronda group and beyond – almost 40,000 feet of climbing and around 300 miles. Mark Amon also got re-acquainted with the donkeys.